January arrives, and an email lands in my inbox from Hunkemoller, featuring the launch of the new Doutzen DK1985 sportswear range. Perfect timing right?! Admittedly, I do not exercise. With three children under my belt, where do I have the time?! However, that is not to say I am not active. I walk every day and am often running around the house doing housework or chasing a crazy toddler. BUT, I do want to exercise more and give some of my ‘me time’ back. Within the mix, there is even a maxi dress and a long sleeved body. Hunkemoller recommended for me to chose the HKMX hooded sweater in pink. 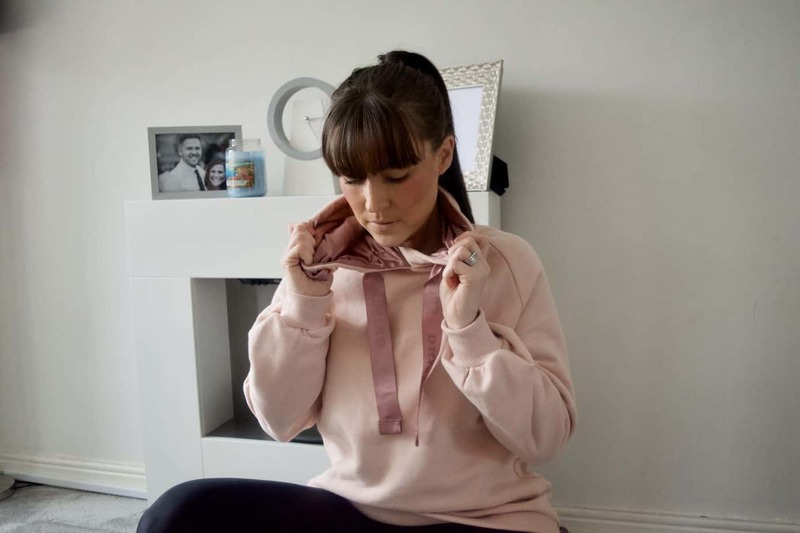 I was more than happy as it was an item of clothing that is completely versatile and perfect for not only exercise, but for relaxing in at home. As soon as the hooded sweater arrived, I was really pleased with the item, noticing how super soft the material was. The hoody is oversized (which if you’ve read my previous fashion posts – I love!) and super comfortable to wear!!! The fabric is 60% cotton and I could happily live in it all day! 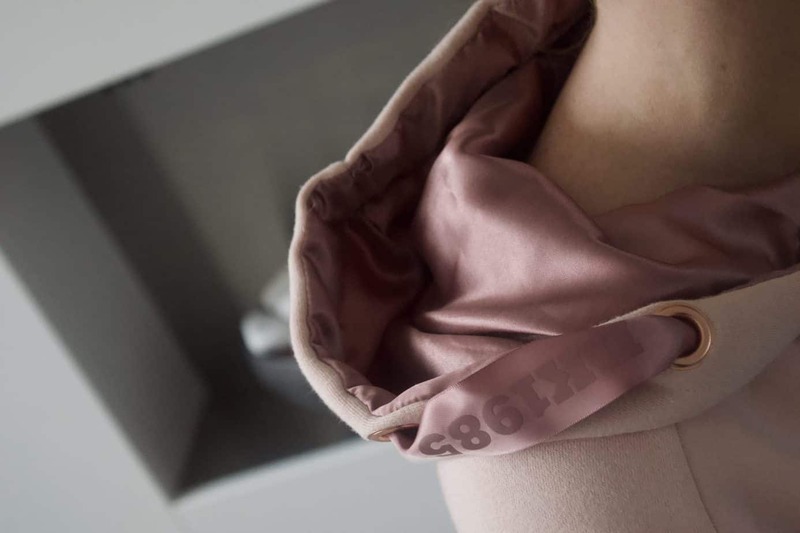 Within the hood the material is a satin look and feel, which is a really stylish touch to add to the sweater. 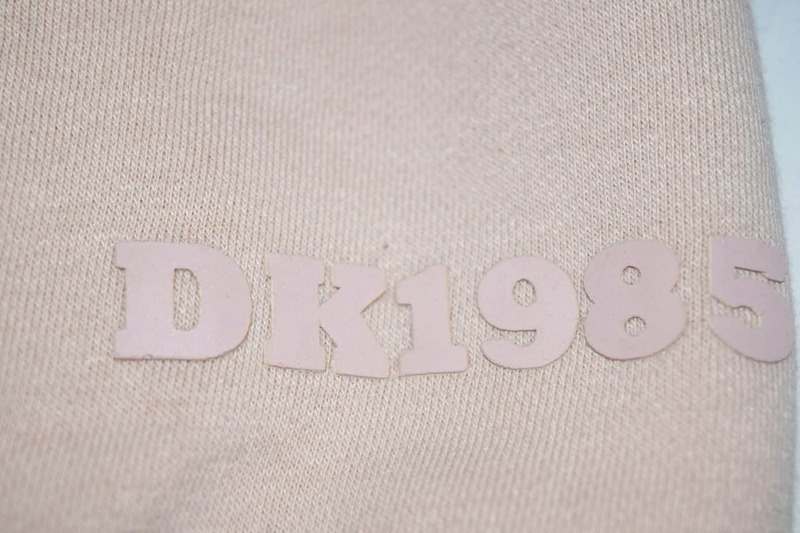 I partially love the draw string which loops around the hood and showcases the DK1985 logo. The logo is also printed at the bottom of the sports hoody too, which again is an additional element I love. What is great about the Hunkemoller website is that when searching for an item, it will recommend other items to complete the look. This is a helpful tool, especially if you want to look for bottoms or a sports bra to style up with the HKMZ hooded sweater. To style with this hooded sweater, they recommend several items you should definitely check out! Overall, I am so impressed with this hoody and will definitely be wearing it during this cold months. As it happens, since it arrived, it has given me a little push to exercise. And I have been on 3 runs! And loved it! Fingers crossed I can keep it up hey! The HXMX hooded sweater is priced at £37 and is also available in black.